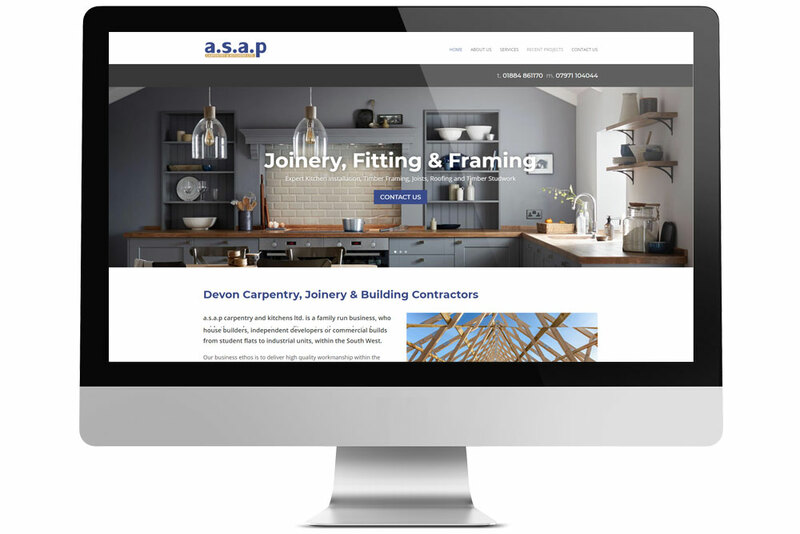 Asap carpentry supply interior and exterior joinery services to the South West of England. 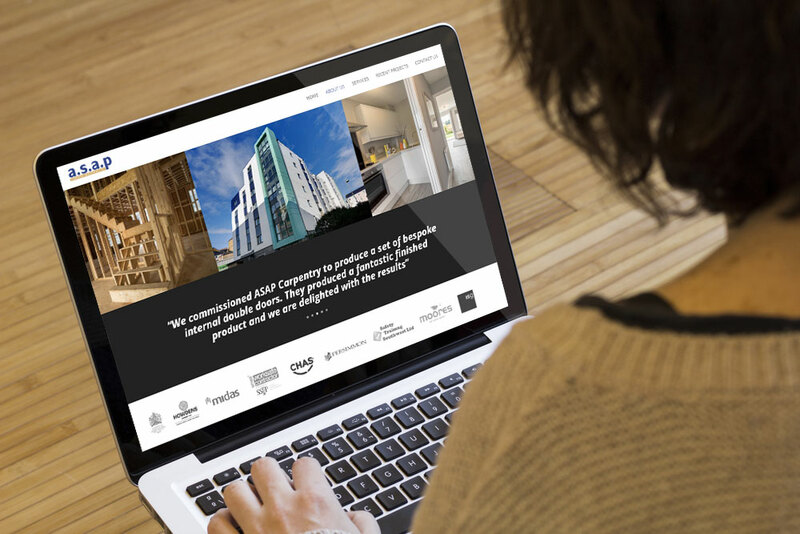 This family run business provides top quality contracting service to large house builders, independent developers and commercial builds, from student flats to industrial units. 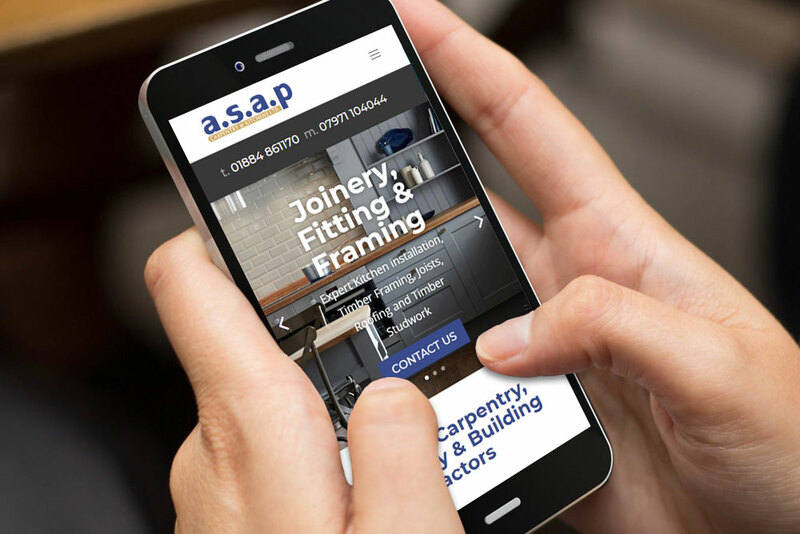 The client requested a complete replacement of their existing website, to boost their online identity and showcase the brilliant work produced for their big name clients, along with a new projects section, service information and easily accessible contact page..
A fantastic new, responsive WordPress website was just the ticket to showcase ASAP carpentry’s skills, services and projects. Some elegant internal and external showcase photographs really aid the design and provide ‘at a glance’ confirmation of both the skills and workmanship that they are able to provide. Slick functionality on any device and our usual high level of service, hosting, training and aftercare, ensure that the client is now able to run and manage their website easily from any device or location.